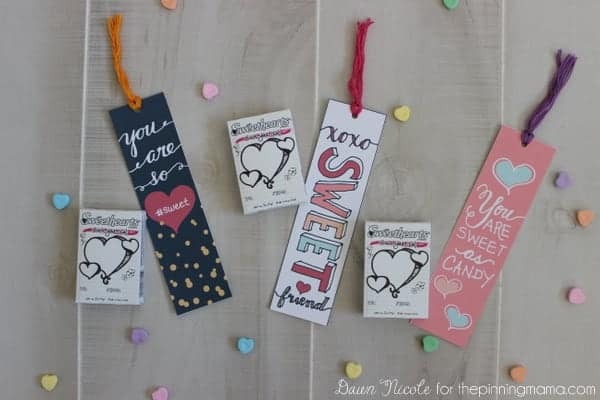 These hand-lettered Valentine’s Bookmark Printables are a fun and unique alternative to a traditional Valentine’s Day card. They’re easy to whip up and you can add any candy to complete the gift! Hi Pinning Mama readers! 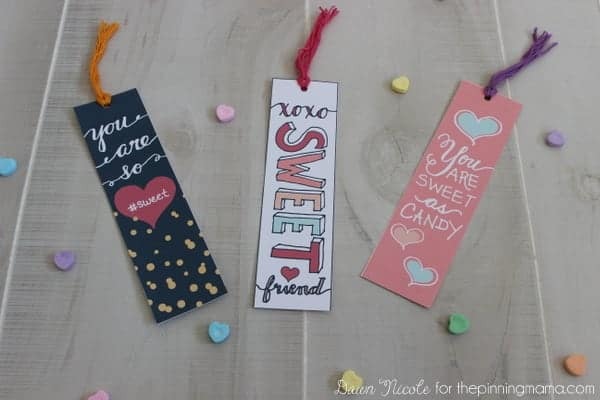 I’m sharing a fun little Printable Bookmark today that you can DIY for your kid’s Valentine’s Day parties. 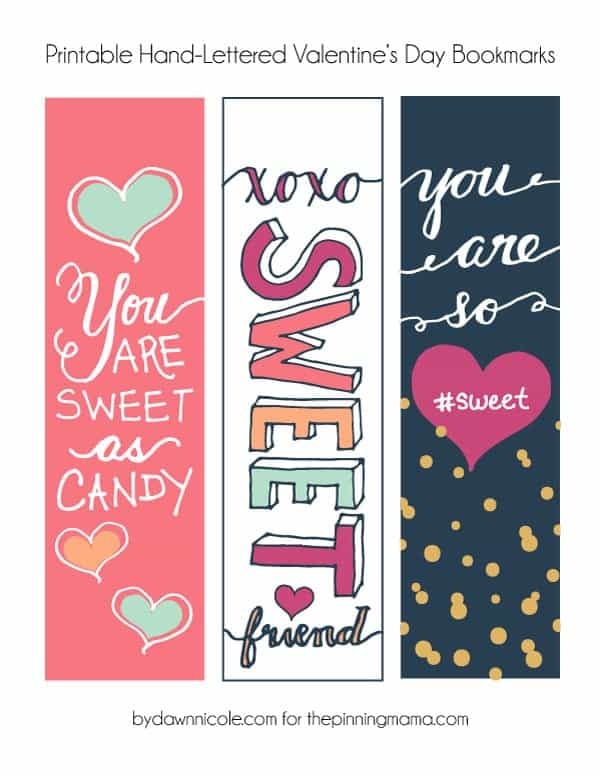 Here’s a little closer look at the bookmarks. They take just a few minutes to whip up! 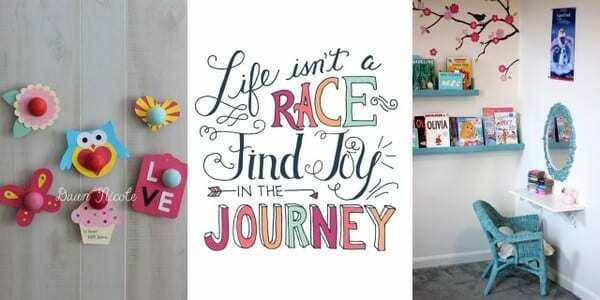 Simply print, cut, punch a hole at the top, and string in some colorful embroidery thread. Easy peasy! You can add any candy to complete the gift. My youngest is two, so I might even do fruit snacks for her class! 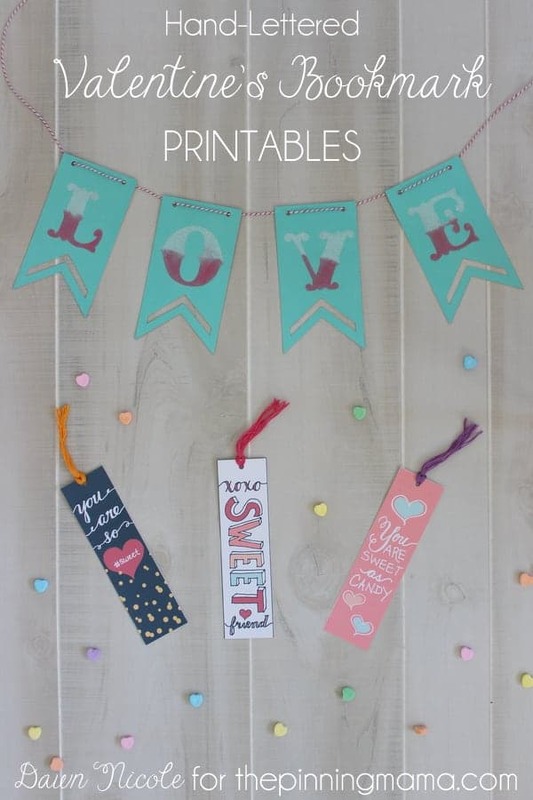 I ordered some of the Silhouette double stick paper because of your adorable banner. I can’t wait to use it!! 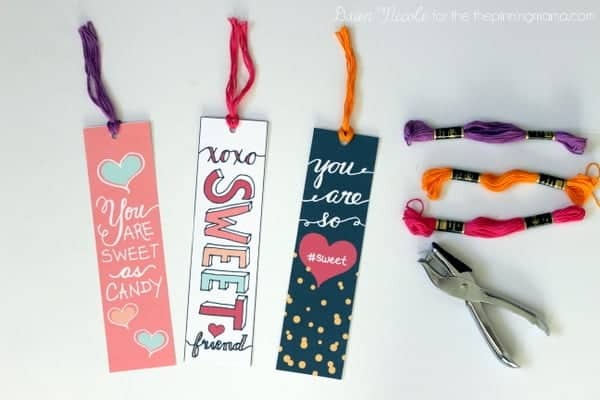 Can’t wait to share these– super cute idea!